Welcome to the Johnson Eubank DeMatteo & Company home page. We are a full-service Daytona Beach based firm of certified public accountants engaged in the practice of public accounting and management consulting. We are committed to going beyond the traditional services of the accounting profession by providing that extra dimension essential to helping our clients achieve their goals. An accountant, like an artist, creates something of value. We believe that our clients deserve the innovative insights and personal attention necessary to meet today's challenges. We thrive on helping you create your future -- not just reporting on yesterday! We hope you will join us as we explore the Internet! This site includes many informative and exciting subjects. We want you to get the best financial and tax help possible. If you have a question which is not addressed here, please feel free to call us. Please let us know what we can do to serve you better. Thank you for visiting the site and please visit often. 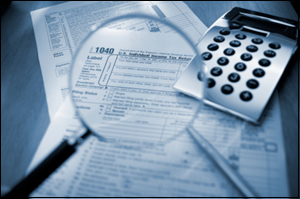 Before using the online Tax Notebook to create your Tax Organizer, you will need to contact our office by email at rljohnson@rljcpas.com or by phone at (386) 255-1981 to obtain your user ID and password.